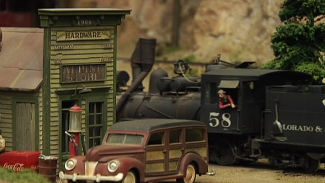 When you look at a model railroad scene built by an expert, you’ll notice that almost all spaces are filled with something that keeps the viewer’s attention and makes the scene appear realistic. You’ll rarely find gaps where nothing exists, unless the train is travelling through wide open expanses. However, in the case of an open hillside where there are no buildings or major focal points, it can be tedious for a modeler to take time filling every small space with something particular. When it comes to adding details to these areas, you’re best served spending as little time as possible on the foliage. In this lesson we teach you some model railroad scenery techniques that can allow you to use nondescript vegetation to tackle a large hillside in no time. 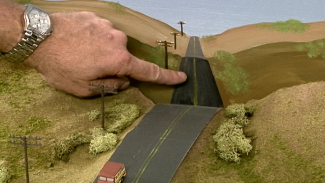 To help you fill in those expansive hillsides in your scene, NMRA Expert Modeler Gerry Leone demonstrates one of his favorite simple model railroad scenery techniques. He shows you how to use polyester fiber fill, a soft, pliable material popular among quilters, to create nondescript vegetation that takes up a fair amount of space in a scene. This fiber can be purchased at any hobby store and comes in a range of natural colors. In this step-by-step walkthrough, Gerry explains why you only need a small piece of Poly-Fil to generate a lot of vegetation by using his simple model railroad scenery techniques. He teaches you the proper way to utilize hairspray and various ground foam to quickly take large gaps on a hillside and neutralize them with nondescript vegetation that looks like kudzoo or creeping bushes. With this and other of Gerry’s model railroad scenery techniques, you can spend less time worrying about the empty spaces in your scene and more time on the fun stuff! 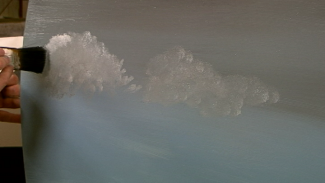 Enjoyed hearing how we can improve ground scenery quite quickly, but will look great!